Wilsons Promontory National Park, commonly known as Wilsons Prom or The Prom, is a national park in the Gippsland region of Victoria, 157 km south-east of Melbourne. It offers visitors stunning scenery and wildlife. It is my best loved park in Victoria. I hope you will want to visit the Prom after reading this page. 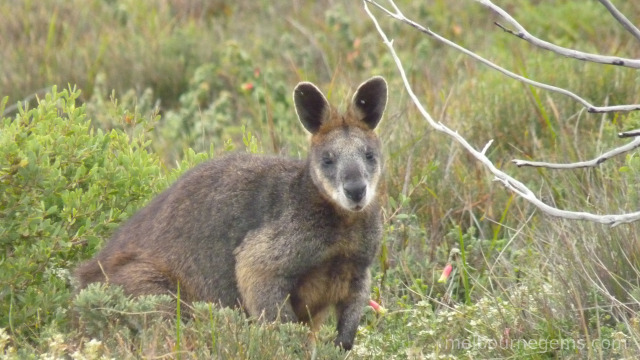 The Prom is probably one of the best places to see Australian native animals in the wild. There is a huge variety of native animals including kangaroos, wallabies, emus, wombats, echidnas and plenty of native birds. If you camp at Tidal River, you will see some animals who are quite accustomed to human. Colourful birds such as Rosella are present during the day along the camp-site and wombats will come close at evening or night time. It is one of the rare places in Victoria where you are almost guaranteed to see this adorable native creature: wombat. Do not feed the animals even if they come close to you. Also do not leave food in your tent because it may attract wombats. They are not dangerous but they can do a good damage to you tent if they manage to get in. Close to the entrance of the Park, there is a small walk call Prom wildlife walk. 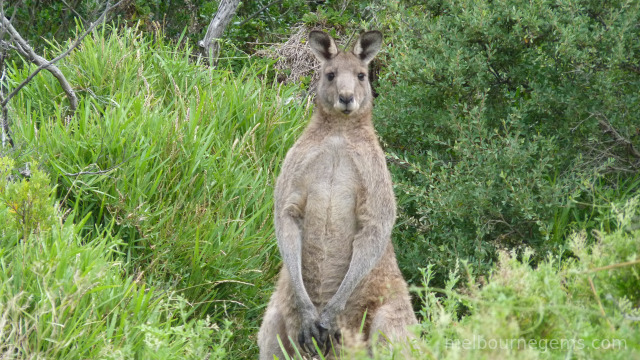 This easy short walk provides he perfect opportunity to see native animals such as Kangaroos, wallabies, emus. 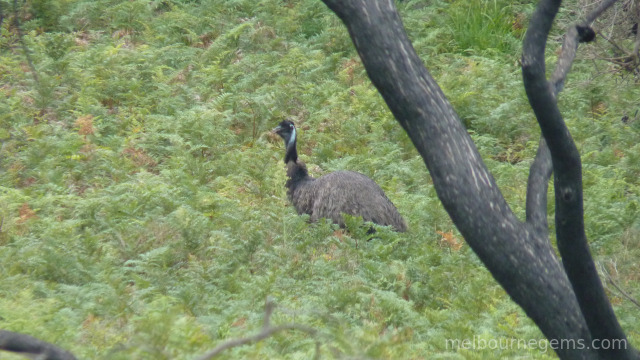 Each time when I went to this walk I saw several emus which are pretty rare to see in the wild. So if you have not seen a wild emu yet, this is the place to go. There are also heaps of wallabies or kangaroos. They may stay close to the walk and will not escape if you do not come close to them. Other good walk to see wildlife is the Tidal Overlook Circuit in the late afternoon just before the sunset. A lot of Swamp Wallabies will come out for food at this time of the day. These small wallabies are absolutely gorgeous. You can also see some echidnas if you are lucky. They are very shy animals. If you come close to the Tidal River camp-site just before the sunset, some big wombats will accompany you to finish the walk. Most of the locals will tell you that they have great childhood memories of family camping at Tidal River. Tidal River camping is surrounded by the large and beautiful Norman beach, shallow river for kid's water play, plenty of walks and wildlife. Can you see a better place for a family holiday? I cannot. 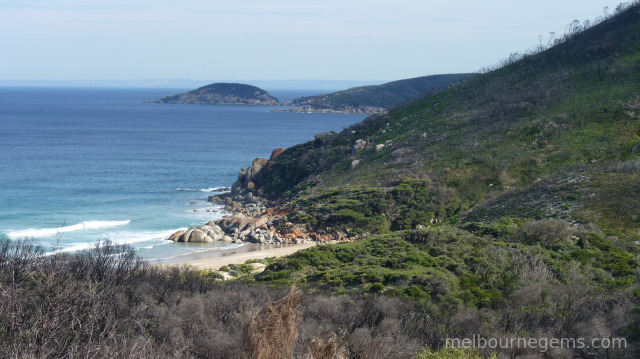 Tidal River is the main camping location in Wilsons Prom, offering 484 camping and caravan sites situated near the beach and river. 20 powered sites are available and pre-booking is advisable. The camping has great amenities including toilets, hot showers, laundry facilities, dishwashing stations, a playground and picnic areas equipped with free gas barbecues. The Tidal River General Store stock milk, bread, ice, gas refills and souvenirs, along with a basic range of supermarket and emergency items. If you do not like to sleep on the floor, they also propose different type of accommodation. Located in a tranquil area of the campground within easy walking distance to the beach, you can have a “close to nature” experience of bush camping with all the conveniences of modern cabins. These retreats are huge safari tents with queen bed, fridge, table and chairs. They have also an ensuite with shower and toilet. They are the most expensive accommodation of Wilsons Prom. Cabins accommodate up to six people. They feature natural light and a timber deck area for outdoor relaxation. Facilities in two cabins are suitable for people with disabilities. The Prom has some newly finished cabins which are very nice accommodations. Spacious living area is fantastic and fully equipped kitchen is probably better than what you can have at home. One bedroom with queen sized bed and one bedroom with two bunk beds. Bathroom, most with a bath tub. These one room huts can accommodate either four or six people in bunk beds. Guests provide their own linen, blankets, pillow and towels and make use of the nearby campground amenities. These huts are very simple. Do not expect anything fancy. 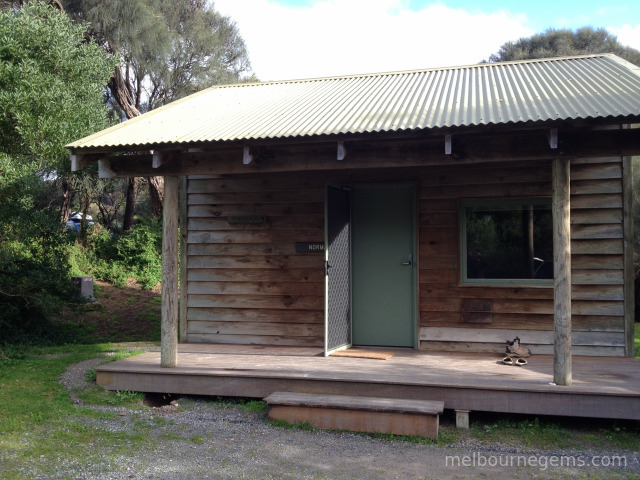 The price of these huts are very reasonable approximately twice of the price of a powered camp-site. Given you can sleep up to 4 or 6, it is a very cheap option for you to enjoy a wonderful moment in this amazing national park. Perfect for schools, family groups, clubs and tour groups. Lodges can accommodate groups of 12, 24 or 30 people. Blankets and pillows are supplied however guests provide their own linen and towels. Fully equipped kitchen, with microwave. Bathrooms (some with facilities for people with disabilities). The number of the accommodation are very limited. So make sure you book very early especially for the peak periods or long weekend. A ballot is held for the summer period each year. In case you cannot have an accommodation in the Park, there are some great accommodation outside of the Park, at Yanakie or Sandy Point. For example stay at this unique holiday house at Sandy Point to enjoy the Prom and the surroundings. 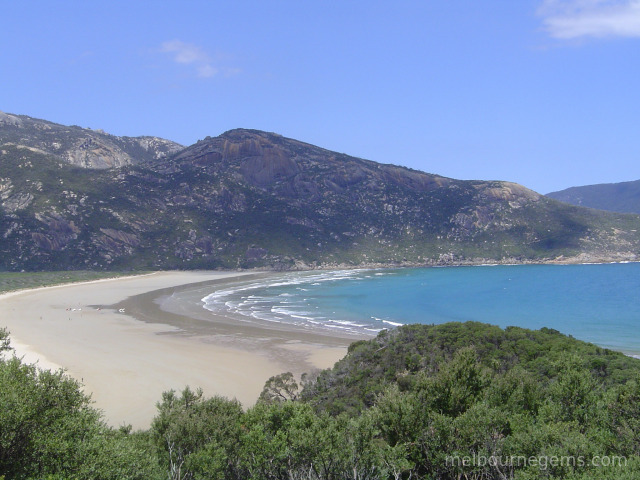 The west coast of the Wilsons prom features a number of beautiful beaches, most of which can be reached with a short walk. My favourites are Picnic Bay, Whisky Bay, Norman Bay, Little Oberon Bay and Squeaky Beach. The last one is one of the iconic locations at the Prom, Squeaky Beach has rounded quartz sand that ‘squeaks’ when you walk on it. The rock formations at the north end of the beach create a maze of passage for fun exploration. You can either drive to the Squeaky Beach car park or take one of the short walk from Picnic Bay or Tidal River. The walk from Tidal River offers spectacular coastal views and you will be rewarded after an hour walk by a beautiful white sand beach. 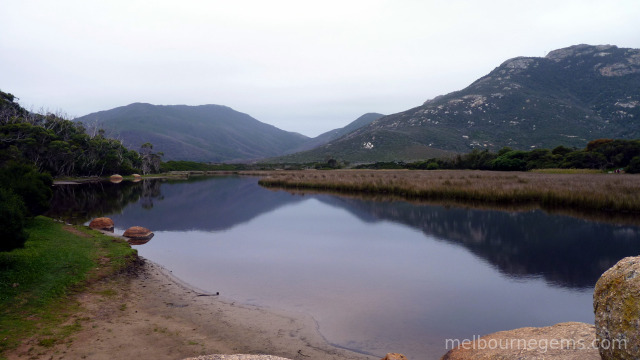 Wilsons Prom offers wonderful walking opportunities for visitors of all fitness levels. There are short walks accessible with prams, day walks and overnight walks. 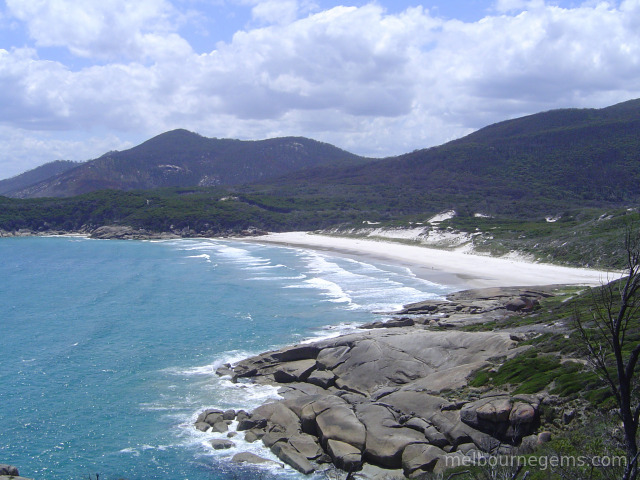 Most of the northern part of Wilsons Prom is classified as a wilderness zone. Most of the visitors will not do the walks in the North. There are actually more opportunities for you to see wildlife. You can do Millers Landing Nature Walk or the Prom Wildlife Walk. Starting at the Terrace toilet block, the track veers left at the junction and climbs over Tea Tree shrouded sand dunes to the southern end of Norman Beach (1.5 km) then winds across Norman Point to Little Oberon Bay. The walk provides fantastic views across Wilsons Promontory Marine National Park to the Anser and Glennie Island groups. Little Oberon Bay is also one of the best beach in Victoria. If you are looking for a little bit of challenge, this day walk starts from Telegraph Saddle car park, follows Telegraph Track for 6 km and turns right to Oberon Bay. From Oberon Bay, the walk to Tidal River alternates between beach and track. Once at Norman Beach, either return to Tidal River along the beach or take the track signposted to Tidal River. I have not done the overnight walks yet. Some of the overnight walks in the southern section are among the best hikes of Victoria. I plan to walk to the Light Station and spent a night or two at the Light Station for my next trip to Wilsons Prom. I will keep you informed.